Personal Trainer Service Area in Winter Springs, FL Oviedo, FL Altamonte Springs, FL Winter Park, FL Maitland, FL Baldwin Park, FL Orlando, Lake Mary, FL. 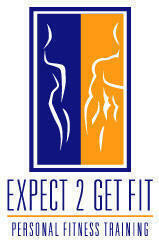 I am a Personal Trainer in Winter Springs, FL and the local areas listed above in Florida. My passion is health, nutrition, and fitness. I love to learn, and I love to share what I’ve learned to help people achieve a stronger, leaner body and a more energetic life. Here are some basic guidelines I have learned. Nutrition is simple. Eat real food. Typically, you should stay away from most everything you wouldn’t find growing out of the ground or walking/swimming/flying this earth. The closer you stay with this, the more you’ll improve your health. Exercise is simple too. Challenge your body – your whole body. Learn how to perform exercises that use the most muscles in your body. Form follows function, or in other words, if you increase your strength, conditioning, and ability; you will have a leaner, sexier body. You will be thrilled with your results, and you will grow not only physically stronger, but also emotionally and mentally as well. How can Jecoa help you?